Nurture Your Health: Happy Spring! I know it is still a few days away from the official start of Spring, but with the warm weather, melting snow, and arrival of seeds in the stores, I am excited for Spring! Even though I haven't done so for many years, I have decided to start some seeds indoors this year. 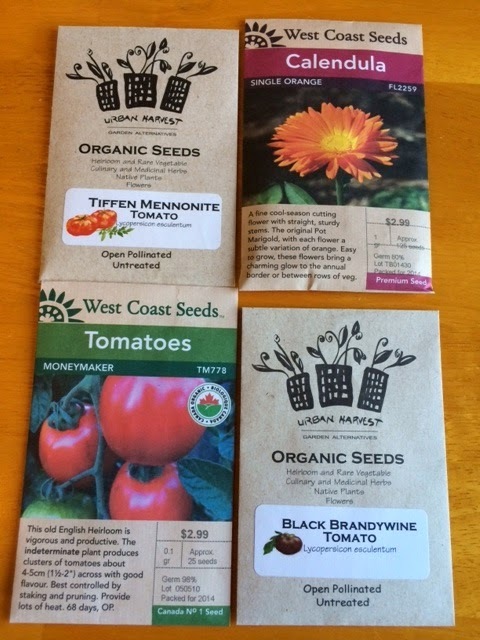 I generally pick up my seeds from Earth's General Store and, as usual, they have an excellent selection of certified organic seeds again this year. 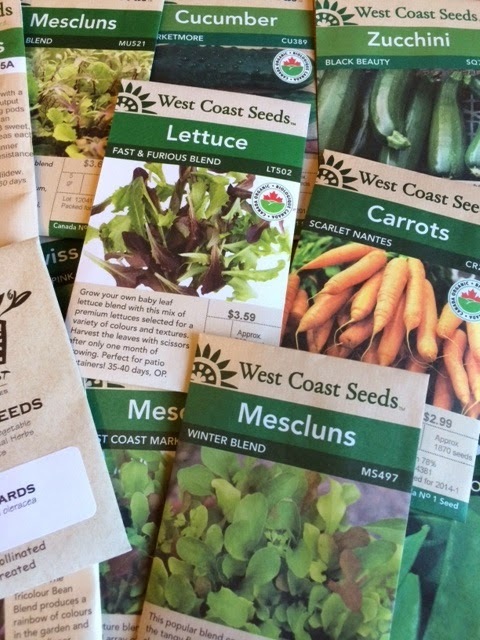 I tend to buy West Coast Seeds and Urban Harvest Seeds each year and am always happy with all the food these companies' seeds provide each year. 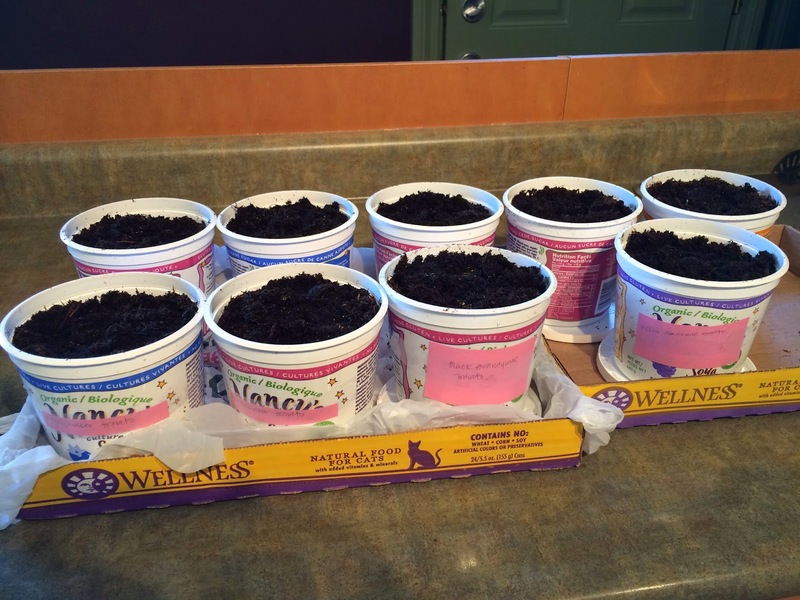 I have planted the seeds in 680 gram yogurt containers and once the seeds are ready to be transferred outside, I plan to cut out the bottom of the containers and plant the containers directly into the ground. Once the plants have established themselves outside, I plan to cut away and recycle the remaining containers. I am hopeful this will make it easier for the seedlings to survive being planted outdoors. I plan to focus on starting tomato plants (I generally buy certified organic tomato plants from the Vriend table at the Strathcona Farmer's Market) and plants for my front flower/perennial garden. So far, I have started 3 different types of tomatoes (tiffen mennonite, black brandywine, and moneymaker tomatoes) and calendula. I plan to look at Earth's General Store later this week for more flower/perennial seeds - I know I saw lemon balm seeds and I would like to try growing it too (I had a lemon balm patch out front for a few years, but it didn't return a few Springs ago). I am so excited to see what unfolds with these indoor seeds!